Michigan is probably best known by outsiders for its shape, that of a mittened hand, surrounded by the vast waters of Lake Michigan. A stay in Michigan means experiencing the history of the automobile industry in Detroit, as well as the gorgeous splendor of the Great Lakes Region of the United States. 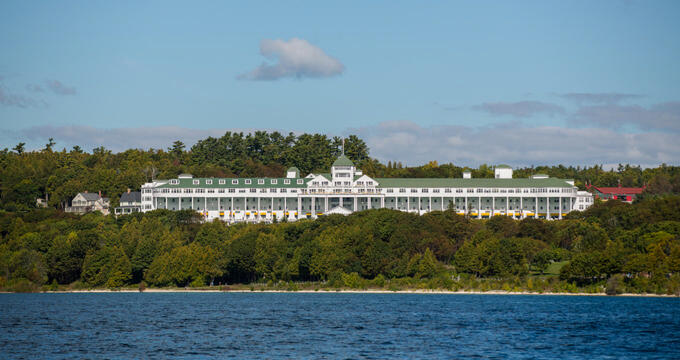 Located on Mackinac Island in northern Michigan, near the Upper Peninsula, Grand Hotel lives up to its name, with a wide sweeping front and tall stately pillars which hold up the world’s longest porch beneath green, peaked tower style roofs. The grounds are an explosion of colorful flowers during the summertime, with breathtaking gardens that will take guests out of the real world and into a fantasy. Nightly dancing, afternoon tea, and rooms that look like a snapshot from a period film all combine to make an experience at the Grand Hotel one that guests will never forget. Amway Grand Plaza is a charming riverfront hotel in Grand Rapids, offering convenient walking access to top area attractions such as the Frederik Meijer Gardens and Sculpture Park, Van Andel Arena, and the Gerald R. Ford Museum. The top-rated hotel offers beautiful guest rooms and suites with downtown and river views, featuring amenities such as free wireless internet and flat screen televisions. 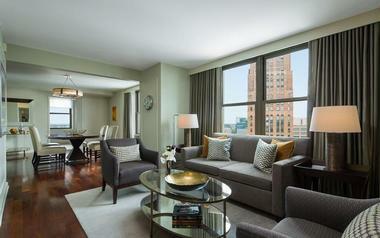 Upgraded suites add private kitchenettes, living rooms, and access to free breakfast and cocktail service. Eight restaurants and bars are offered on site at the hotel, including two Wolfgang Puck-operated endeavors, popular national chain Ruth's Chris Steak House, and the Cygnus27 rooftop lounge. JW Marriott Grand Rapids is one of Grand Rapids' premiere modern luxury hotels, connected to the city's DeVos Place Convention Center via enclosed walkway. 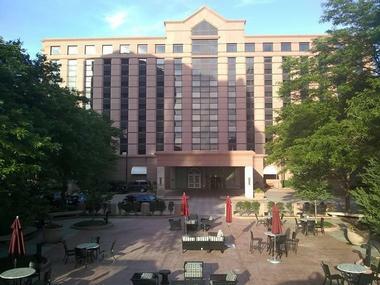 The hotel, which is owned and operated as part of international hotelier chain Marriott's luxury JW Marriott brand, offers 337 beautifully-decorated guest rooms with modern amenities such as 42-inch flat screen televisions, mini fridges, coffee makers, and free wireless internet, with private living areas and river views offered in upgraded suites. Select concierge rooms offer access to the hotel's upscale club lounge, which offers free continental breakfast and evening appetizer service daily. The hotel's signature restaurant, six.one.six., serves up gourmet American-style fare at lunch and dinner, while its Mixology lounge crafts high-quality cocktails. With gorgeous views of the impressive Lake Michigan from many of its luxurious rooms, Bay Harbor Village Hotel faces Bay Harbor Lake Marina, making it a perfect accommodation for visitors looking to get out on the water, especially if they brought their own boat. Rooms are relaxed and breezy, with comfortable and simple furnishings and private balconies, many of which overlook the lake and the marina. Bay Harbor Village Hotel has an outdoor swimming pool which is open seasonally for guests of the hotel, as well as a hot tub and a hotel gym which is open 24 hours a day. The red roof, striped interior wallpaper, and classic wood paneling and furniture lend a distinctly Victorian ambience to this hotel in Traverse City. Guests will enjoy being closely located to not just the waterfront of Lake Michigan, but also the excitement of all the restaurants, nightlife, and shopping destinations in downtown Traverse City. 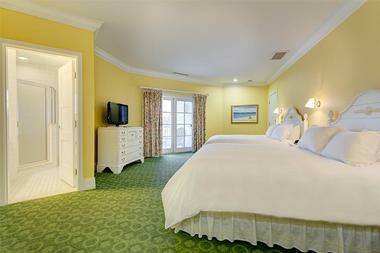 At Bayshore Resort, guests can choose from the simplicity of the East Rooms to the gorgeous views of the Bayfront Rooms. All rooms at Bayshore are comfortable and clean, with wifi, TVs, and access to all hotel amenities like use of the game room, swimming pool, and daily continental breakfast. The Marina Grand Resort, located within walking distance to the beach on the shores of Lake michigan, and only an easy 70 mile drive from the hustle and bustle of Chicago, is a beautiful luxury hotel whose rooms and suites all offer a view of the marina as well as a fireplace and outdoor space. Guests staying at the Marina Grand will enjoy all the amenities, such as the rooftop deck, pools both indoor and outdoor, waterfront restaurant, free bike rentals for exploring the local area, and so much more. Town is only a ten minute walk away, as is the beach, so while Marina Grand Resort is removed enough for privacy, it is certainly close enough so that visitors can still get the most out of their stay. Boyne Highlands Resort in Harbor Springs is an upscale accommodation with a distinct sports theme, perfect for those looking to stay active on their vacation. Besides the spacious rooms, many of which feature amenities like kitchenettes and fireplaces, the experience of staying at Boyne Highlands Resort lies in the amenities. There are four golf courses on the property, a zipline course, a fishing pond, and even a terrain park for snow sports such as skiing and snowboarding. Guests can also go horseback riding or play tennis, before settling down for a delicious meal at one of the 13 restaurants at the resort. Just three miles from the town of Boyne Falls, Boyne Mountain Resort is a great destination for travelers on a ski trip. The chateau-style buildings and alpine lodges hint at the winter wonderland that Boyne Mountain Resort becomes each winter, and visitors can choose from a sleek hotel room, an elegant villa or condo, or a cozy cabin for their stay. With ten golf courses for the summer time and two mountains for winter sports, Boyne Mountain Resort also has outdoor swimming pools, and indoor water park, a spa, and a fishing lake. Guests will never be bored at this resort, because Boyne Mountain Resort offers activities and amenities for all four seasons. The historic Colonial Inn was built in 1894, and today the quaint, colonial style white building with its French doors and green shutters is a lovely place to spend a vacation. Every room is spacious and homelike, with detailed touches such as colored curtains, cozy armchairs, and gas fireplaces to help cement the historic ambience. Guests will enjoy the use of the fitness room, pool, and spa, as well as the dock where everyone at the Colonial Inn can gain easy access to the waters of Lake Michigan. With porches and balconies that are great for relaxing with a book or a few friends, Colonial Inn is peaceful and beautiful, and located within easy walking distance of Harbor Springs. Part of the Autograph Collection of Marriott Hotels, the Inn at Bay Harbor in Petoskey boasts a relaxing natural atmosphere that is specially designed to help guests forget about life for awhile as they enjoy the gorgeous splendor of the peaceful setting as well as all the amenities that the Inn at Bay Harbor has to offer. 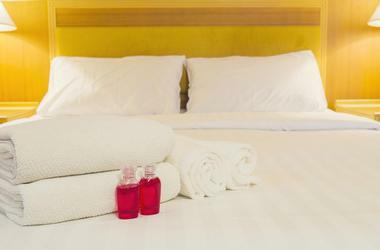 Accommodations are stylish and comfortable, with every last detail taken care of, and the hotel offers packages for romantic getaways that include meals, sparkling wine, and transportation for a night out. In the evenings, guests can relax on the inn’s property to watch a stunning sunset over the waters of Lake Michigan. 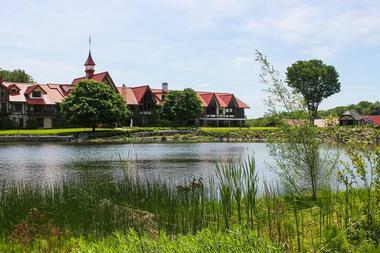 Located in northern Michigan near Traverse City, Grand Traverse Resort and Spa is set on over nine hundred acres of forested land and manicured gardens. Guests can choose to stay in the hotel, the tower, or one of the condominiums at Grand Traverse Resort and Spa, but each and every one of these options offers deluxe accommodations perfect for any getaway. Amenities at this huge resort include four hot tubs and swimming pools (two indoor, two outdoor), an indoor water park, private beach, spa, salon, a golf course with over fifty holes, five restaurants, and much more. Set at the southeast tip of Walloon Lake, Hotel Walloon is a beautiful boutique accommodation that feels decidedly vintage, with many touches and details reminiscent of the early 20th century. 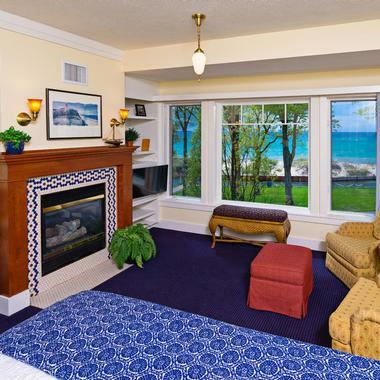 The building itself is scenic, tucked right up against the shores of the lake, which is significantly smaller and less intimidating than nearby Lake Michigan, and has a private beach area where guests can sunbathe, relax, or swim. Inside, there is always some sort of refreshment available for guests -- a plate of handmade cookies or a pitcher of ice cold lemonade -- and the staff is always friendly and ready to help. 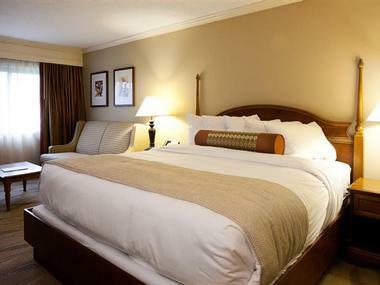 Rooms are airy and luxurious, with relaxing color schemes, beautiful lighting fixtures, and cozy bedding. This high rise hotel in downtown Detroit is also a casino. Rooms at the MGM Grand Detroit offer plush bedding, sleek furnishing, and city views, and range from a basic queen room to a 1,000 square foot executive corner suite with 1.5 bathrooms and a king size bed. Amenities at the MGM Grand Detroit include a fitness center and pool as well as IMMERSE, a state of the art spa offering massages and various treatments. The casino at the hotel offers a wide variety of gaming, from slot machines to table games like poker or blackjack, and the venue also often plays host for various entertainers and musicians who perform there. Skiing the natural terrain of the Otsego Club and Resort is an experience like no other, and the Sturgeon River Valley offers an amazing opportunity for people of all ability levels to participate in snowsports of all kinds. 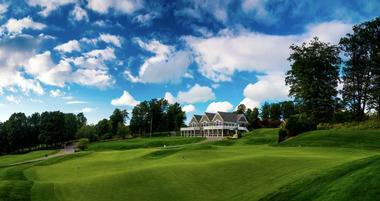 In the winter, skiing and snowboarding take the cake as top activities, but during the summer Otsego has two PGA championship golf courses open to both guests and the public. Staying at Otsego means hunkering down in a cozy, lodge style accommodation, with natural wood bed frames and furnishings to fit the theme and create a comfortable ambience. Pet friendly rooms are available, and during the busiest seasons of the year weekend reservations require a minimum two night stay. Located on Summit Mountain and overlooking Lake Bellaire, Shanty Creek Resorts is a great skiing destination which is open year round for a myriad of activities. At Summit Village, guests will find the Lakeview Hotel and Conference Center, where they can stay and enjoy gorgeous views of Lake Bellaire, lavish guest rooms, indoor and outdoor pools, and access to the resort’s restaurant, lounge, and bar. During the winter guests can make use of the resort’s two ski areas, and during the summer they can hike on Summit Mountain or enjoy a day out on one of the two golf courses at Summit Village. The tranquility of the countryside is not in short supply at Sweethaven Resort, where guests can choose from six idyllic cottages for their stay. Each accommodation varies from a simple one bedroom with a queen size bed and a pullout couch to a five bedroom house which sleeps up to fourteen people. Every cottage has a full kitchen, and at least one bathroom, and many of them have extra features like a hot tub, fireplace, private garden, or outdoor fire pit for evening gatherings. There are also many community amenities, such as a horseshoe pit, volleyball court, lovely twisting walking paths through the woods, and more. Traverse City is a great destination, not only because of all the attractions on land, but because of its proximity to Traverse Bay in Lake Michigan. At Tamarack Lodge Resort, which is located right on the waterfront, guests will have full access to a private beach with comfy Adirondack chairs, fire pits for roasting s’mores at night, and a waterfront that just begs for swimming and play. Suites come in one, two, or three bedroom condo options, and feature amazing panoramic views of the water just outside the door. Accommodations feature full size kitchens, jacuzzi tubs, sitting areas, and fireplaces, and they are perfect for couples, families, and groups of friends for a fun and elegant getaway. New Buffalo’s proximity to Chicago - only 70 miles - makes it a popular getaway destination for locals from the city, as well as a convenient place for out of towners to get to from the airport. 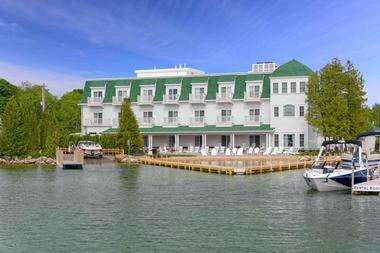 The Harbor Grand is a boutique waterfront hotel in New Buffalo that has rooms to sleep up to four guests. Many rooms have fireplaces, whirlpool tubs, wet bars, or walk in showers, and the Harbor Grand does its best to make each guest feel personally looked after, with touching details like a complimentary spread of delicious continental breakfast served in bed each morning, evening s’mores and campfires, and even a hotline for Ben & Jerry’s, where you can order your favorite ice cream flavors delivered right to your room. Named for the man who revolutionized travel as we know it -- Henry Ford -- The Henry is a gorgeous hotel in Dearborn located just a short distance from the Ford Motor Company’s headquarters, as well as the Henry Ford Museum, the Automobile Hall of Fame, and everything that Detroit has to offer. Guests staying at The Henry will enjoy comfortable, modern rooms that see to their every need, as well as tastefully decorated common areas like the front lobby, which is decadent with cozy seating and contemporary art. Other amenities at The Henry include an indoor pool and hot tub, a spa and massage rooms, free wifi, and creative and delicious dishes at TRIA, the onsite brasserie. Closely located to Glen Arbor as well as Sleeping Bear Dunes National Lakeshore, but far enough from civilization to feel secluded and private on this quaint and lovely 500 acre wooded resort, The Homestead offers amazing sunset views from the outdoor swimming pool, opportunity for strolling along the lakeside boardwalk to see boats and breath in the sweet natural air, and other amenities. There is opportunity for horseback riding, playing golf, tennis, boating, and kayaking, and the resort also is home to a number of cozy porches and white sand beaches, perfect for relaxing and socializing. 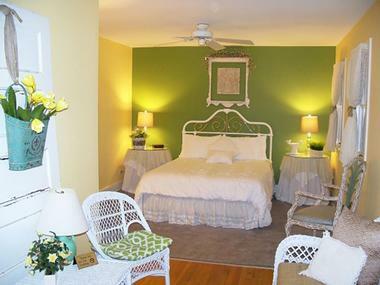 Rooms and suites at The Homestead are great for romantic couples’ trips, family reunions, and big events. With the beach only 250 steps away from its front door, The Inn at Union Pier is a great destination for visitors to the area. This lovely bed and breakfast is within easy driving distance from both Chicago and Detroit, and has 16 charming guest rooms to offer, where guests will receive amazing service and experience a comfort unlike any other. Delicious morning breakfasts and afternoon refreshments are a great way to start the day before hitting the beach or exploring some of the wineries, orchards, or other amazing attractions the can be found in the region. 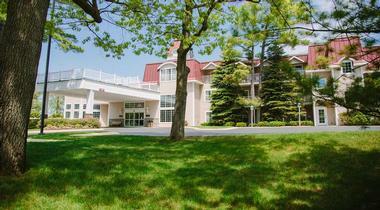 Treetops is a casual setting for visitors, business travelers, or even corporate retreats. Set on a massive property that encompasses 1500 acres of green, well manicured golf courses, as well as a ski and snowboarding area for the winter season with 23 runs, Treetops Resort is a four season experience with something to offer for everyone. Rooms at Treetops Resort have kitchenettes, and the houses and chalets at the resort have multiple bedrooms for families or bigger groups traveling together. The resort even has a children’s center, so parents and adults can enjoy their vacation while children learn to golf, make arts and crafts, or even get pampered at the kids’ spa. Boyne City has many attractions, from the beaches at the edge of Lake Charlevoix to the waterslides and excitement of the Avalanche Bay Indoor Waterpark. Luckily for visitors, Water Street Inn is close to all of those things and more. Right on the shores of the lake, with a beach just steps from the door, Water Street Inn is an all-suite hotel with condominiums that have a king or queen bed and a sleeper sofa in the living room. Each condo has a private balcony with views of the lake, where they can watch the sun set in style on a lake which has been dubbed second by USA Today’s “Best Lake” competition. Like the car for which this hotel is named, the Westin Book Cadillac Hotel is a luxury experience for anyone who takes a ride, or in this case, stays there. Originally built in 1924, the hotel has a long history of splendor and elegance, one which it maintains today with its marble walls, high ceilings with hand molded details, gorgeous chandelier light fixtures, and wrought iron railings. 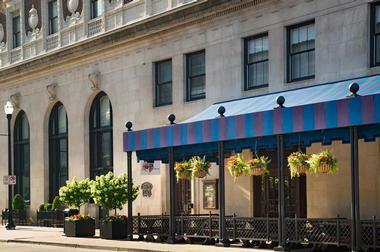 Located in downtown Detroit, this premier hotel has event spaces for weddings and conferences, proximity to all the excitement of the city, and modern, sleek accommodations. 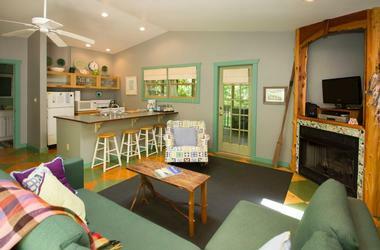 White Birch Lodge is an all inclusive resort on the waterfront of Elk Lake, in northern Michigan. For accommodations, guests can choose from condominiums, cabins, townhouses, or traditional hotel rooms for their stay, each of which are comfortable, clean, and well equipped with anything they might need. Most accommodations have fireplaces, and many have private balconies, full kitchens, living areas, and even laundry facilities in the condos. A vacation package at White Birch Lodge includes three meals a day, waterskiing, tubing, and wakeboarding, and even a kids’ program so that parents can relax and enjoy some time to themselves. The rustic Birchwood Inn, located in northern Michigan, feels a bit like a lakeside hunting lodge, with stone fireplaces that crackle with welcome warmth during cold weather, natural wood features, and decor that includes historic items like sledges and old fashioned snow shoes. 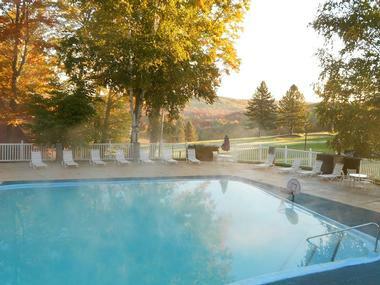 At the Birchwood Inn, visitors will appreciate the warm welcome of the staff, the heated pool, the pet friendly environment, and free breakfast each morning. 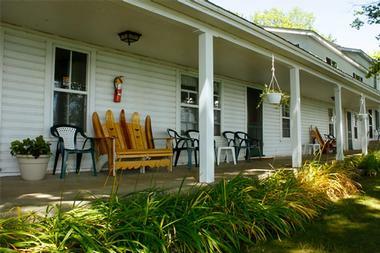 Birchwood Inn is a perfect destination for travelers who want to explore the more rustic parts of Michigan, ride through nature with the Tunnel of Trees, enjoy snowshoeing through the woods in winter, and search the beaches of Lake Michigan for unique Petoskey stones during the summer. Hidden away in a peaceful 60 acre patch of tall green pine trees, Horton Creek Inn Bed and Breakfast is a beautiful place to relax and recharge by taking a walk in the gardens, exploring the nature trails, watching fish in the ponds, or reading a book by the pool. The rustic log cabin style inn completes the scenery, and inside guests will enjoy comfy, themed rooms with private desks or tables and queen size beds. Every morning, guests at Horton Creek Inn B&B will be treated to a full breakfast in the sunshine of the large windows in the sunroom.